Tottenham were stunned in front of their won fans as Wolves put them to the sword. Wolverhampton Wanderers pulled off the shock of the weekend to beat Tottenham Hotspur 3-1 at Wembley Stadium. Second-half goals from Willy Bolly, Raul Jiminez and Helder Costa clinched three well-deserved points for the away side. Spurs were well below par but take nothing away from Wolves who were fantastic on the day. Spurs enjoyed the majority of the possession in the opening few minutes and Wolves were given an early scare as Leander Dendoncker stayed down after a collision with Moussa Sissoko. Heung-min Son tried his luck from range just before the 10-minute mark but his shot did not trouble Rui Patricio in the Wolves goal. Harry Kane won a free kick in a dangerous area for Spurs but Kieran Trippier was unable to get the better of the Portuguese goalkeeper. 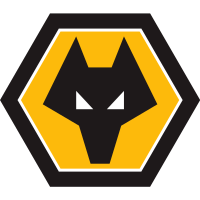 Wolves broke on the counter and were denied a penalty by referee Stuart Attwell after Adama Traoré's cross deflected off Ben Davies' arm. Spurs caught the visitors on the counter-attack as Son bared down on goal and picked out Dele but the 22-year-olds shot flew well over the bar. And it was the home side who were piling the pressure on, Eriksen forced a superb save from Patricio as Spurs searched for the opener. In the 20th minute, Harry Kane put Spurs ahead in what has to be one of the goals of the month. Spurs broke on the attack but the 25-year-old lacked options so went alone as he cut inside on his left foot and struck from 25-yards into the far top corner. The home side were in total control of the game as they pushed on for the second of the afternoon. Son came close on two occasions but the Lilywhites still looked frail at the back. 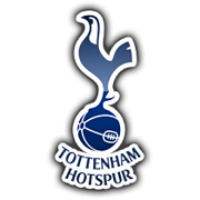 Despite Tottenham's best efforts, they were unable to find the second goal in the first half as the game went completely flat in the latter stages of the half. Spurs began the second half with a scare as Kieran Trippier who has only recently returned from injury stayed down after a collision in the box. However, the England international eventually returned to his feet after a short delay. Toby Alderweireld was proving to be Tottenham's rock at the back after he denied Wolves yet another counter-attack. At the other end, it just was not happening for Spurs as they could not find the right final pass. Much like in the latter stages of the first half, Spurs were struggling to create any rhythm as Wolves began to threaten for an equaliser. Wolves continued to threaten, Ivan Cavaleiro broke down the wing but an important challenge from Davinson Sanchez saved Spurs. Shortly after the 70-minute mark, Willy Bolly levelled the proceedings and it was to no injustice. Wolves had been threatening and from a corner, the Frenchman rose highest to head the ball beyond Hugo Lloris. Raul Jiminez put the away side ahead with just over five minutes to go from 15-yards out. And it was fully deserved for the away side, they had controlled the majority of the game. 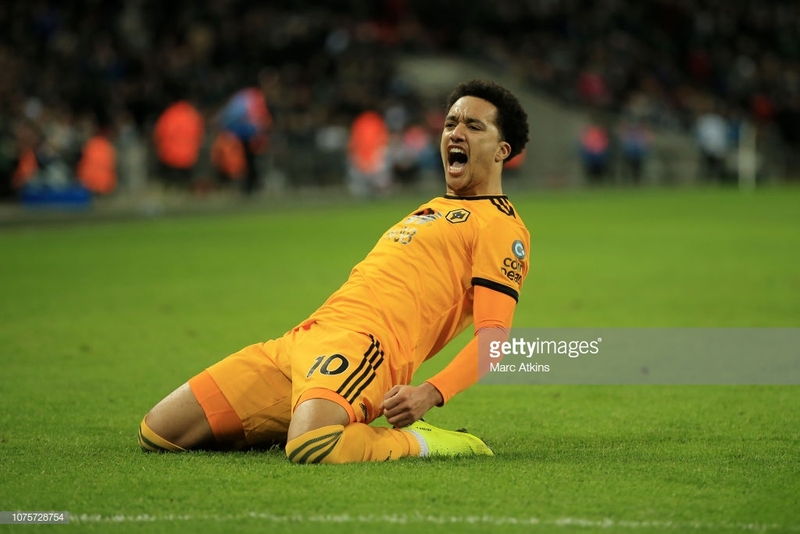 Just minutes after, Helder Costa made it three for the visitors. Again, Wolves broke with too much pace for Spurs to deal with and Costa made Spurs pay for their sloppy defending. Spurs were unable to deal with the away side on the counter-attack as their pace proved too much to handle for what looked a very tired Spurs side. As good as Spurs looked in the opening 30 minutes, it was the visitors who dominated the rest of the game. An electric opening half an hour was followed by 60 minutes of sloppy passing from the home side. Even on the attack, Spurs struggled to break the visitors down as the away sides defence held air-tight. The away side came with the belief they were able to get something from the game and it certainly showed on the pitch. It was a brave performance from Wolves which paid off in the end as Bolly's equaliser earned the Midlanders a well-deserved three points. The only way through for Spurs was from range, throughout the game Spurs found it tough to break the backline and resorted to shooting from distance. There is still a long way to go in the title race. However, Spurs could be nine points adrift by the end of the day which could prove too much to make up. With games coming thick and fast there are opportunities for Spurs to make up some ground but it will be difficult. It was certainly a game where Spurs could not drop points.